Ibermach (Erlo Group) has successfully installed 2 robotic lines of hydraulic presses for the calibration and punching of stainless steel housings. These twin lines have been assembled in the production plants of Vigo and Viana do Castelo (Portugal). Ibermach has been the managing company of the global project, being the manufacturer of the hydraulic presses model OG-75 t of 75 tons of capacity. 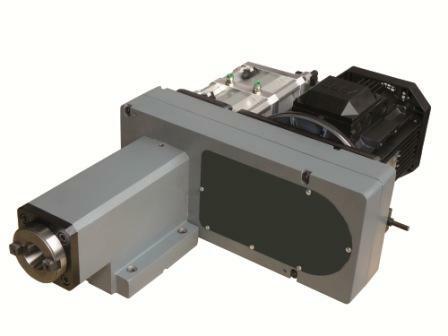 As responsible for the project, at Ibermach we have entrusted the line of entry of parts, robotization and extraction of parts to our close collaborator expert in this matter, JOVI AUTOMATISMOS, with whom we always have for this type of peripherals for our special machines and hydraulic presses. On this occasion, in which the client has asked us for a "turnkey" installation, we have included 2 progressive dies that have been designed and manufactured by INDUSTRIAS FOCS, experts in this matter and that have been a fundamental part in the success of the project . These covers are part of a set of a "cooler" for Renault-Nissan engines and are mounted on several car models. The operation of the line is as follows: an operator loads the casings on an input belt. At the end of the belt we rotate the casings to detect the position of the weld (to avoid punching on it). Once positioned, a robot with a triple claw ties 3 pieces at the same time: the one we just positioned, which is already calibrated from the first position of the die and the one that is finished in the second position of the die. With a linear movement, move the 3 pieces leaving the first in the first position of the die, the one that is calibrated in the second position and the one finished in a container exit ramp. This whole cycle is done in a time of 11 seconds. The satisfaction of the customer has been such that at the moment we are working on the study for the inclusion of new references in the lines delivered. Having 4 models with different capacities means the most suitable option for each case is within reach. From the small CG.16 ISO-30 model, with drilling capacity of up to 16 mm in steel, the CG.30 ISO-40, with drilling capacity of up to 30 mm in steel, with a manual or automatic clamping option, the CG.40 ISO-40 with the advantage of being designed to perform milling work, in addition to drilling and tapping, to the last and most robust CG.50 with ISO-50 cone, able to conduct the most demanding machining tasks. We also facilitate adapting to the client's project. 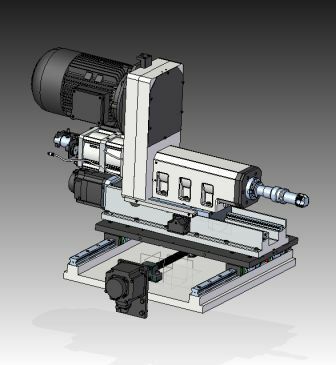 We do so by making available roller units, manual or automatic clamping systems, rotary unions for interior cooling, encoder for rigid tapping or tool positioning, protective bellows for the guide and legs, columns to support the entire set, different motor speeds and powers for each model, and much more. 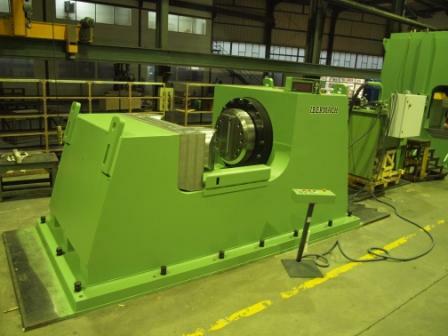 IBERMACH Special Machinery recently sent a special four-column press to Mexico to assemble fan turbines for one of the largest multi-nationals in the sector, the Catalan company Soler Palau (S P). Based on the press manufactured at the time under the LIZUAN brand, we have evolved and improved it to design and manufacture a more ergonomic, effective and productive press. This press joins aluminium blades with disks made of the same material, forming the edges, were are assembled by a central plate. This is possible thanks to a rotating plate located on the press table. Delivery of a second, similar press is scheduled for January 2016. It will have greater capacity, able to assemble turbines up to 36 inches in diameter, confirming Ibermach's position as a preferred supplier of special and press machinery for the multi-national. 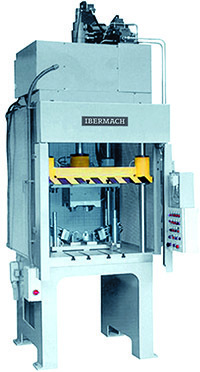 IBERMACH Special Machinery S.L. just finished manufacturing two hydraulic presses for the Gestamp Group. Both presses will be leaving for Brazil next week, to be installed at the Iraeta Brazil plant. Their purpose is to straighten forge flanges up to 7 metres in diameter that will then be machined. Each one with 1000-tonne capacity, they can straighten flanges up to 300 mm thick. 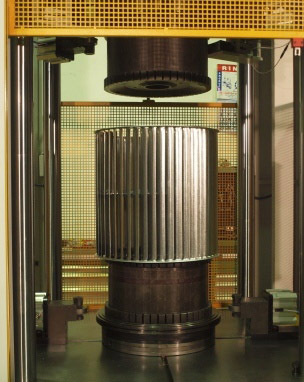 The vertical press puts pressure to improve the gigantic flange's flatness. The horizontal press places pressure to improve its circularity. This is all conducted in an almost artisanal fashion by Gestamp's operators. Manufactured in 2007, the first vertical press of this type bore the LIZUAN brand. IBERMACH Special Machinery is manufacturing the hydraulic presses designed and manufactured by LIZUAN Construcciones Mecánicas since 1962. With a set of 1,500 machines sold over the past 50 years of its existence, Lizuan is well-known for the quality of its presses and adapting design to its clients' needs. IBERMACH Special Machinery is moving forward with the know-how gleaned over these past 50 years, adding them to the 50 years that companies in the ERLO group hold in manufacturing top-quality machinery, whose prestige is acknowledged worldwide. For good reason, it is endorsed by the many clients for whom it has already manufactured Hydraulic Presses under the new brand IBERMACH, offering technical assistance and replacements for LIZUAN presses. 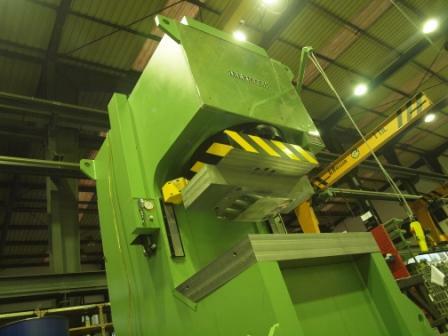 Currently, IBERMACH is manufacturing 2 1,000-tonne capacity hydraulic presses, one a Vertical Swan Neck type, and the other Horizontal, to be shipped to Brazil. Moreover, it is manufacturing a special 4-column press for a Mexican company.